Goodreads says, "Phoenix can't imagine anything worse than being shipped off to family summer camp. Her parents have been fighting for the past two years—do they seriously think being crammed in a cabin with Phoenix and her little brother, Harry, will make things better? On top of that, Phoenix is stuck training with Callum—the head counselor who is seriously cute but a complete know-it-all. His hot-cold attitude means he's impossible to figure out—and even harder to rely on. But despite her better judgment, Phoenix is attracted to Callum. And he's promising Phoenix a summer she'll never forget. Can she trust him? Or is this just another lie?" Going to a family summer camp isn't high up on Phoenix's wish list this summer, but nonetheless, that's where she'll be along with her parents who don't get along and her younger brother. So, obviously, Phoenix is miserable. To top it off, she will be working there as a counselor. But once she gets there, she meets an experienced counselor, Callum, who is supposed to be mentoring her. She isn't a fan of his attitude, but she can't deny the attraction she feels towards him and she is starting to wonder if maybe he feels it too. But Phoenix has some major trust issues and Callum has put up some major walls, so can these two actually make a go for it? And what happens when the summer is over? 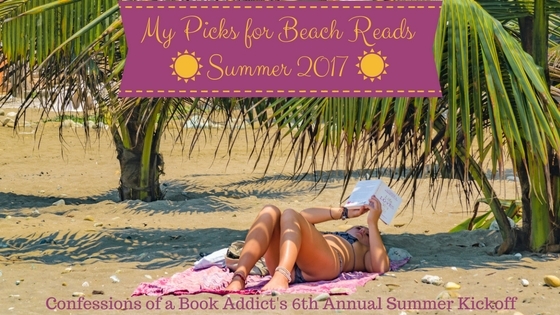 Trusting You and Other Lies is your average summertime read for young adults that fans of outdoorsy settings will enjoy the most. Phoenix....ugh. I wanted to like her, but she drove me nuts from the start. She's whiny and has a bad attitude. I mean her parents aren't that great, but obviously her father is dealing with a lot of financial difficulties. She never cuts her parents a break and is pretty self-absorbed. I did enjoy her relationship with her younger brother, but I had some issues with the plot surrounding her family. They were supposed to be repairing their relationship while at camp and family wasn't even a bit focus of this book until the end. So, there were some major plot holes in Trusting You and Other Lies. Why I did give this book a higher than average rating is the character of Callum. I really enjoyed him; what can I say? I love a broody protagonist that is layered and mysterious. I liked his relationship with Phoenix as well as whole idea that he is mentoring her as a camp counselor. That's a great way to get to know someone and their witty dialogue was a lot of fun. Their relationship and bantering is what pulled me into Trusting You and Other Lies. The setting of camp was also a plus for me when I read Trusting You and Other Lies. I really love summer camp stories and all the outdoorsy activities were also well done. I was a camp counselor for many years, so I could personally relate to this aspect of the novel. 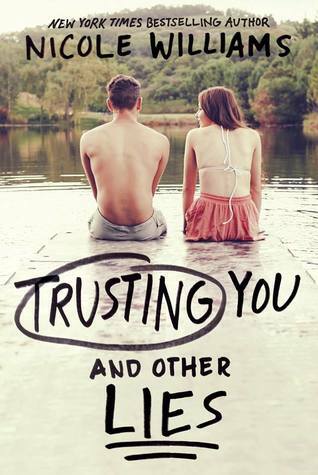 Despite my issues with Trusting You and Other Lies, I thought it was a fun summer romance. Was it my favorite? Not by any means, but an enjoyable way to spend a lazy Saturday afternoon. Me too. I really liked Callum as well and he is pretty much why I stayed with the book, that and the great setting of camp. Thanks for visiting, Julie! Yeah, it really irritated me. I think now that I am a parent I found it extra irritating. I am not sure that I would have if I read it as a teenager though. Thanks for dropping by, Joy! I don't think I'd like this one. It's hard to get through a book when the main character is annoying. That is disappointing. I'm glad you found something you liked about it even if it is just the setting and the love interest. I never went to camp as a kid so I missed out on that experience. To be honest, I was so shy I don't think I'd have liked it unless my friends were there too. Yeah, if summer camp isn't your thing, you might not appreciate this novel. I did like Callum though. Thanks for visiting, Christina!